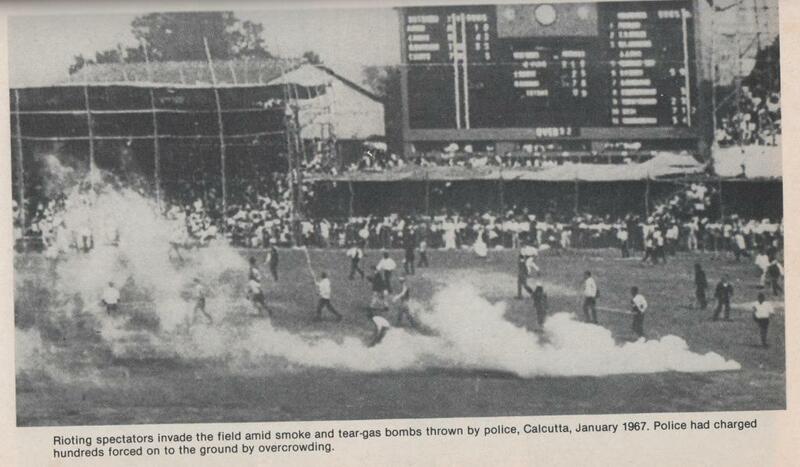 The scoreboard at Eden Gardens Calcutta (now known as Kolkata) might have been a relatively safe spot when tensions flared during a Test match in January 1967 between India and the West Indies. 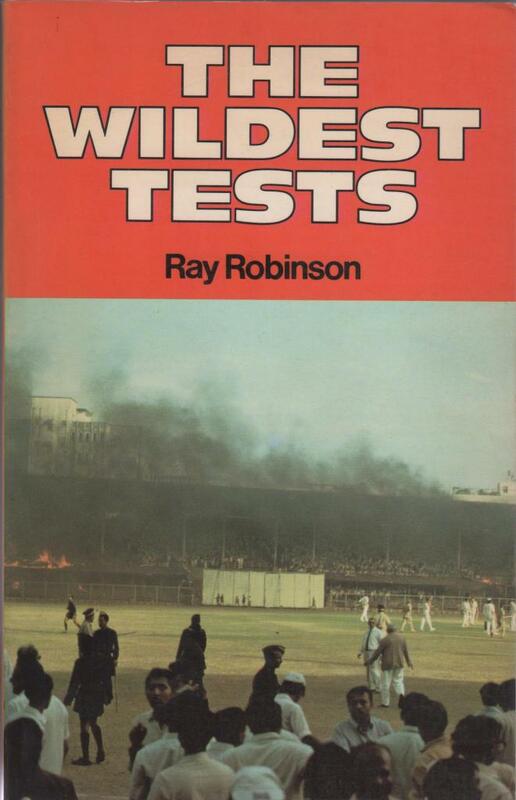 The photo is from The Wildest Tests, written by Ray Robinson and first published in 1972. The West Indies won the Test by an innings and 34 runs. 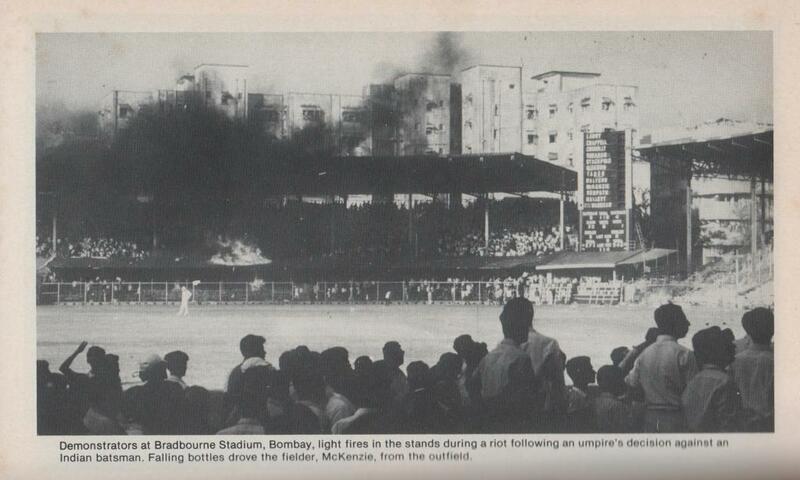 Two years later in Bombay (now Mumbai), there was plenty of action on and off the field in the November 1969 Test between India and Australia. The visitors won by 8 wickets. 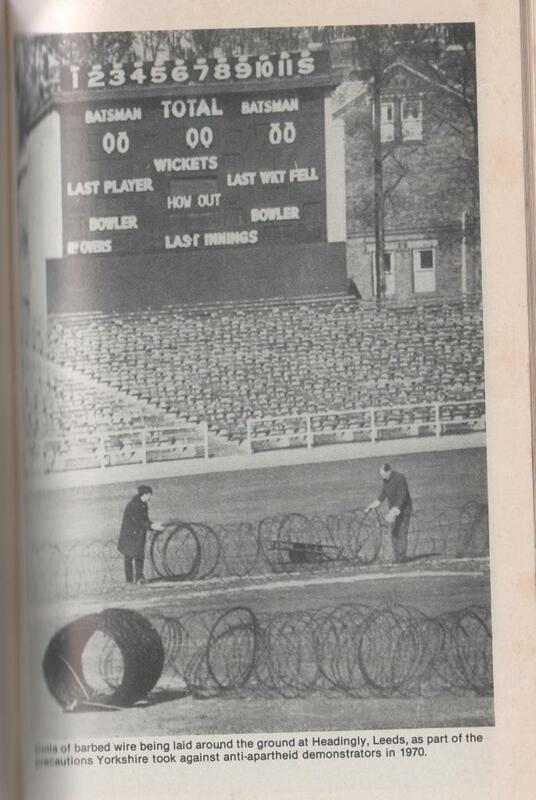 In 1970 cricket officials at Leeds prepared for the possibility of ant-aparthed demonstrations. Ray Robinson’s book also looked at the Terry Jenner-John Snow incident of 1970-71 and, in a later edition, at some late 1970s flare-ups. Thanks to my mate JD for the loan of The Wildest Tests. Some great pictures. We’ve got this book in the MCC Library – you’ve inspired me to take a look. Maybe it’ll provide some ideas for my next blog.